I Nocked over some trees on Malinovka, camped these bushes. In sniper mode, I could see through the vegetation up towards the hill. 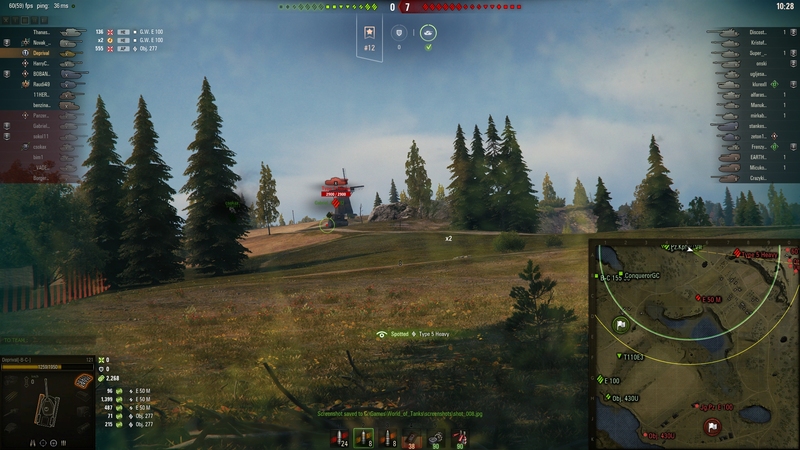 However, I didn't spot a Type 5 till about 250 meters. Evidently, sniper mode lied to me, can this be fixed? So that see through vegetation is actually fully spottable. ...yeah that's definitely a bug. Trees should have sections from top to bottom and if the top is further away than 15m it should become opaque. Honestly the tree camouflage mechanics are super wonky. 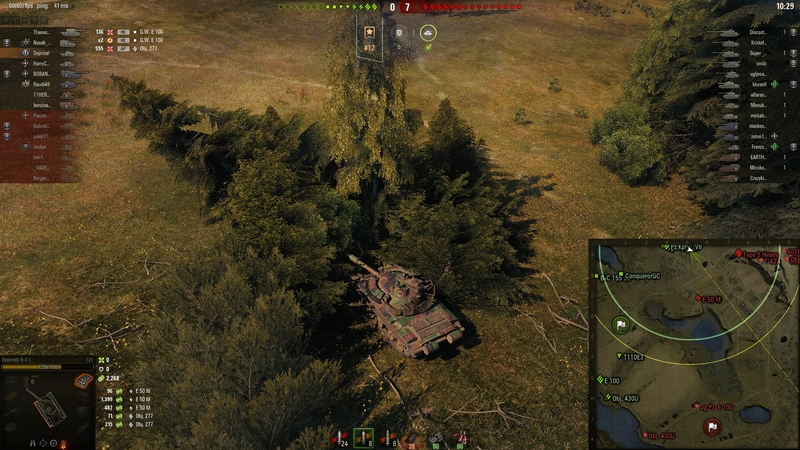 AFAIK atm you can receive a camo bonus through trees noweven when they're not knocked over.